A house build in the 90's with a Mediterranean look underwent a complete transformation into a casual but sophisticated home. 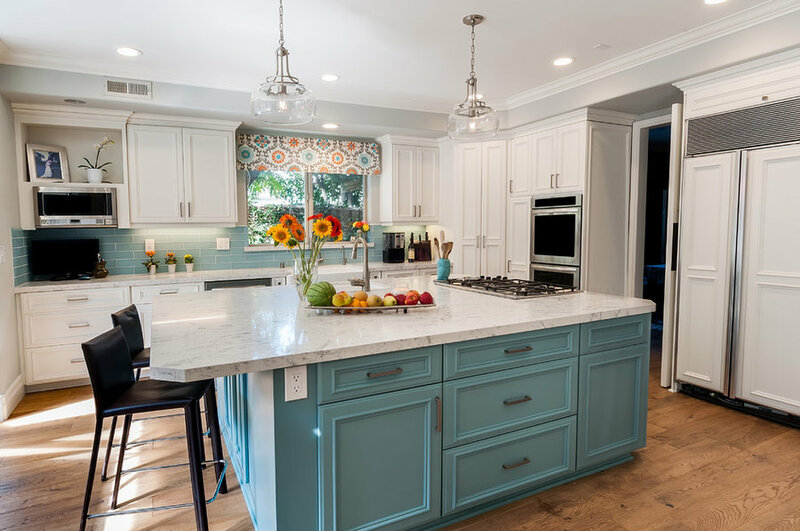 With lighter walls and wood floors, an open kitchen with a quartz top and a turquoise island and new fireplace surrounds this house is now full of light and flair. Here is a close-up of the island. 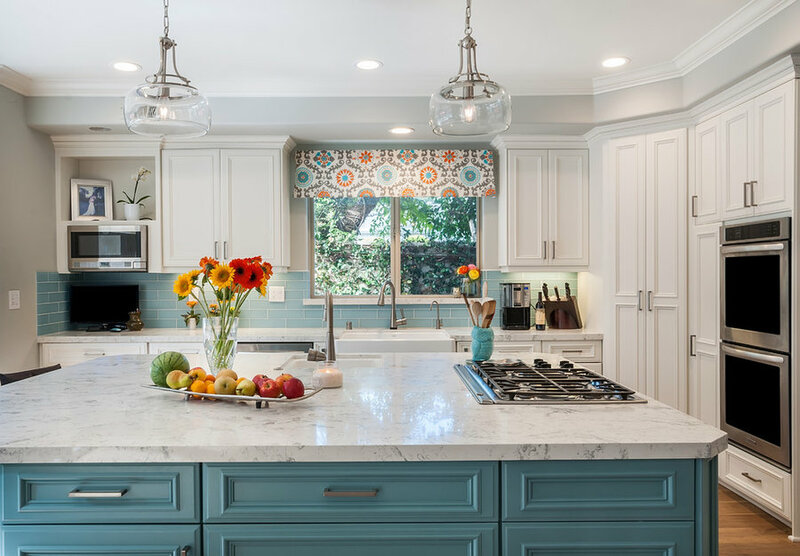 I also love the two large glass pendants that give this beach style kitchen a touch of the past. 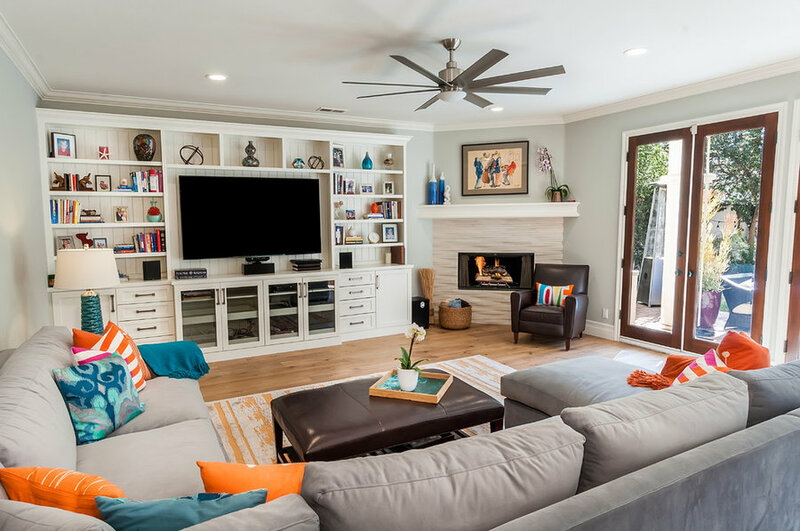 The living room is more formal then family room but still a place one can relax. The sofa and chairs as well as the console and sofa table were custom made. I love the way the navy and cream are accentuated by the warm reds and tangerines in the pillows and art. 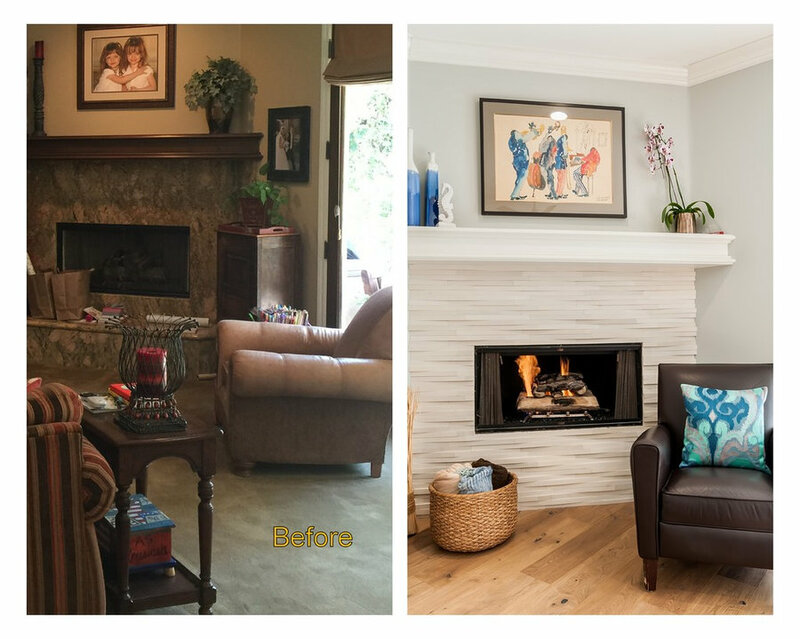 This vignette of living room highlights the beautiful custom mantle and carrera marble. 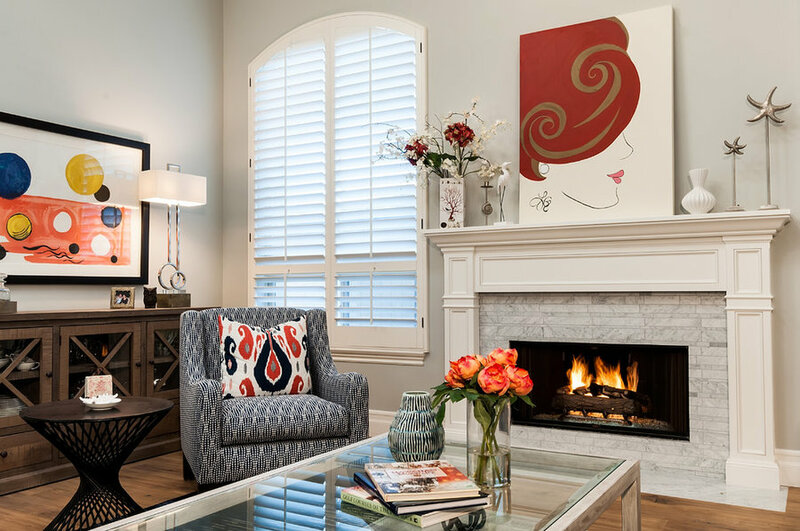 Contemporary art and beautiful accents like the end table and lamp give this room a very special look. I will be posting a side by side before and after at the end of this album. 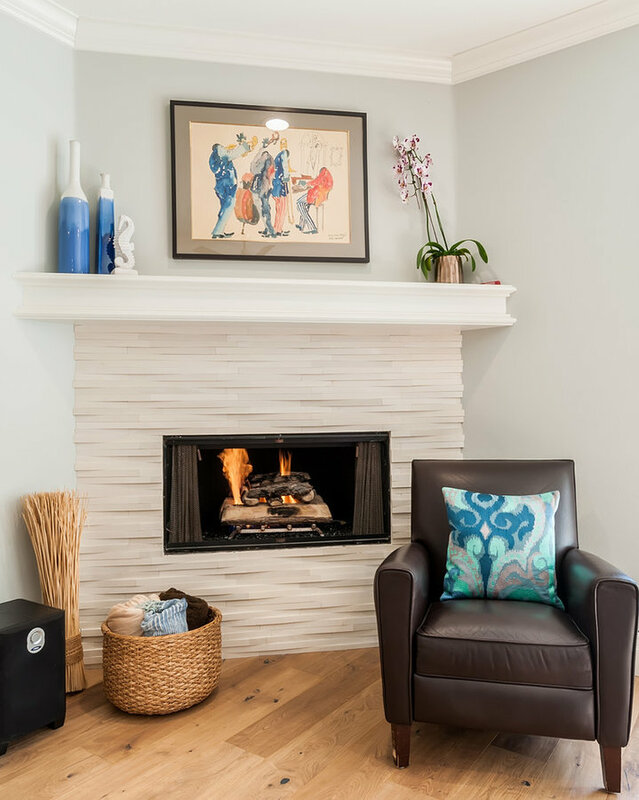 The new fireplace surround is a gorgeous three dimensional limestone that gives this room a sophisticated look. The family room is open to the kitchen and needed to be inviting and comfortable for a family with kids and pets. 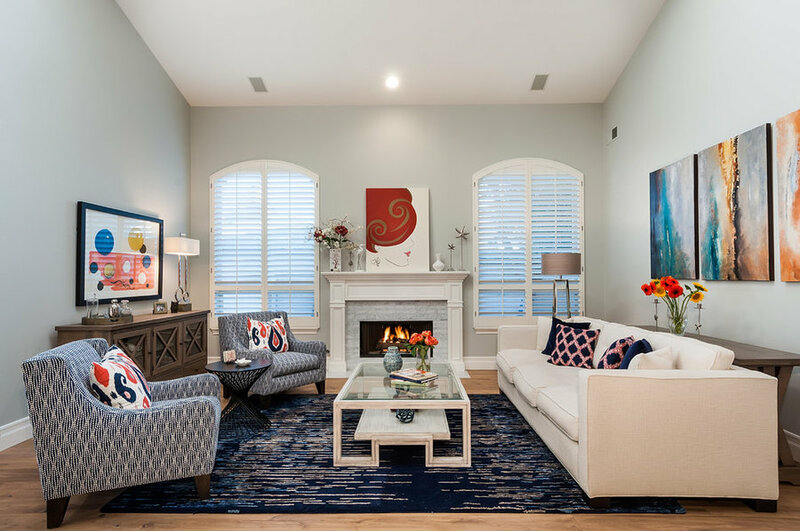 The two focal points are the custom wall unit and the new fireplace surround. 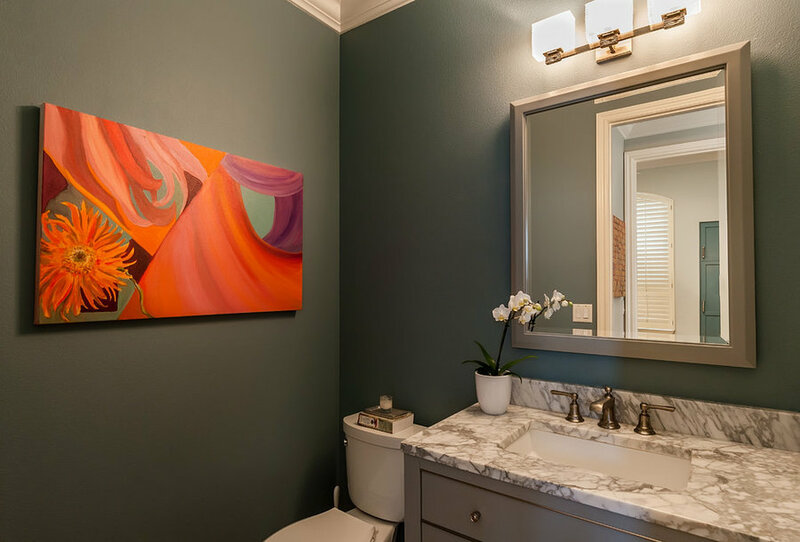 The powder room is a very elegant room,. we decided to paint it a very deep color. The vanity and the light have very simple lines. The painting is an original on canvas and was actually painted by me. On top of being a designer I am also an artist and feel very honor when my design clients also want to collect my art. I wanted to show a few Before and After side my side so the huge transformation . When I was first hired to do the job I knew it was going to take lots of ingenuity to change the look. Getting rid of the fireplace was a must and the rest just followed. 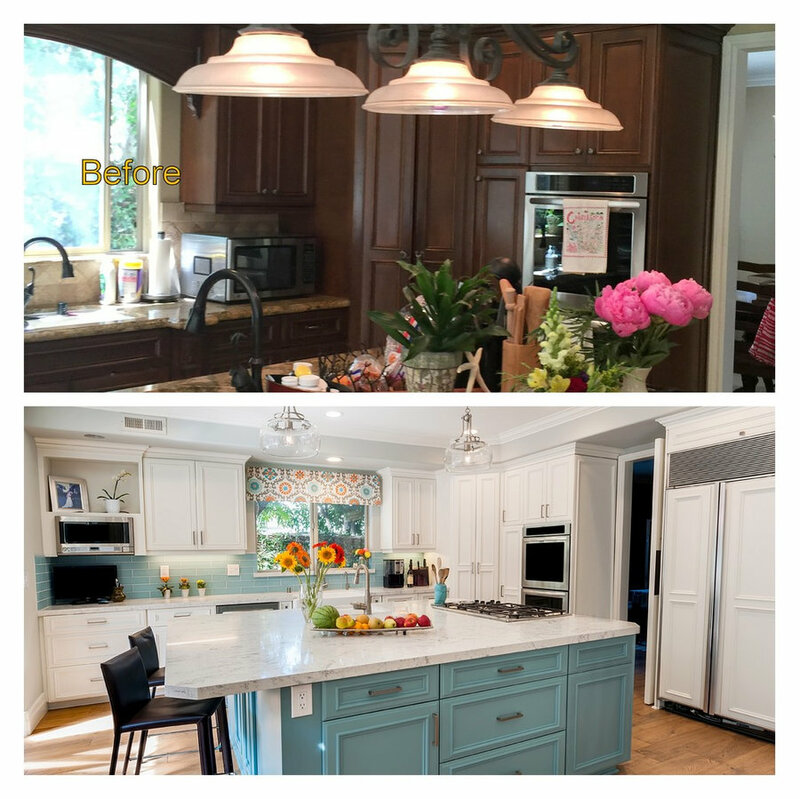 I am showing this picture again in order to showcase the before and after of this kitchen which I believe speaks for itself. Here is another major transformation. 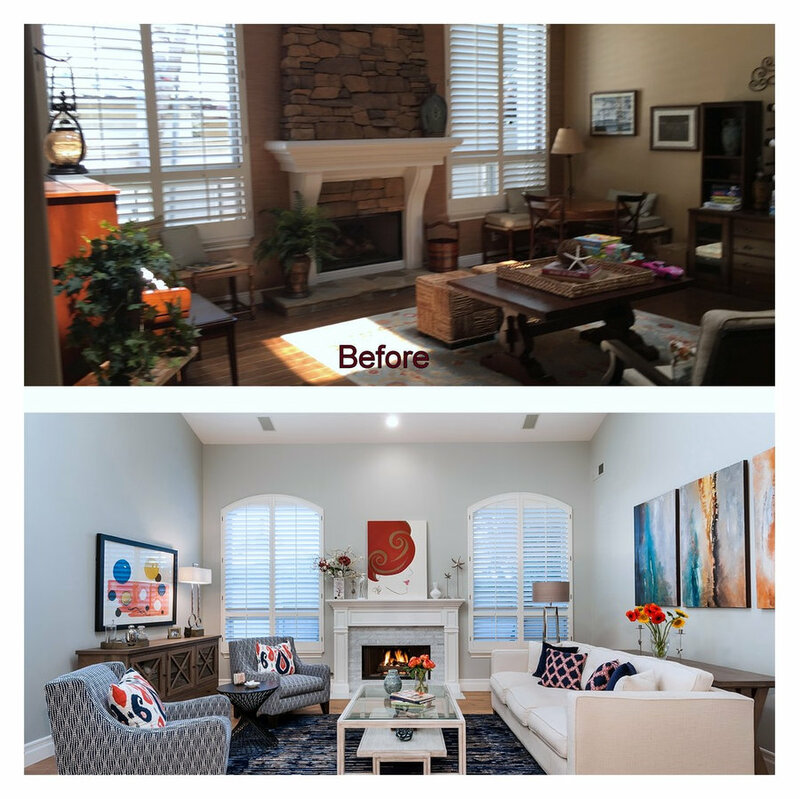 I was happy to get rid of fireplace raised hearth , the outdated marble and the carpet and instead installed light wood floors and a beautiful organic limestone for the fireplace surround.